Rhino Marine Inc. was organized in 1994 to manufacture boats and trailers. 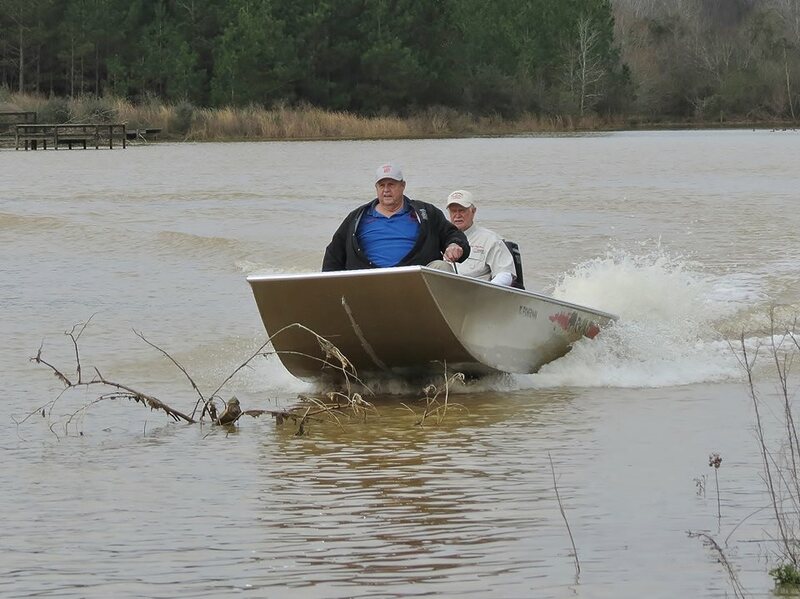 We strive to have the finest quality boats and trailers you can find, so your days on the water will be trouble free. Rhino Marine is a privately held corporation and is located in the deep South where quality and pride are still alive and well. All Rhino Marine products are manufactured using the finest grade of materials and workmanship. Every boat and trailer are built “one-at-a-time” to ensure that the quality, fit and finish of each product is second to none. Why is Rhino among the best? Take a look at our “Construction” Page to see why our boats and trailers are considered the best in their class. Your home for the toughest boats in the Southeast. In addition to the boats we build, we also build trailers, dog boxes, and specialize in custom aluminum fabrication. If you are interested in our models, please check us out and like us on Facebook for regular updates, as well as pictures of all of our models and custom builds, or click on the desktop icon. For inquiries into sales and/or pricing information, give us a call or send us an email and we will be more than happy to assist you. At Rhino Marine, we can customize most of our boats to your specifications. There’s no need for cookie cutter boat models that aim to please everyone. We understand that a boat is a great investment and strive to suit our customers’ individual needs.